Mike Harrington joined Washington-Lee High School in the fall of 2013 as an Assistant Athletic Trainer and from there the Head Athletic Trainer in the fall of 2014. Mike graduated with a Bachelor’s of Science degree in Athletic Training from the College of Medicine with a minor in Public Health at the University of South Florida. USF offered a variety of clinical settings for Mike, where most of his time was spent at the division one collegiate level with football and soccer. From there Mike was a seasonal intern in the NHL for the Tampa Bay Lighting, which led him to a career here in D.C. with the Washington Capitals and surrounding physical therapy clinics. Jake Friedman joined the Washington-Lee High School athletic training staff in the fall of 2017 as an Assistant Athletic Trainer. 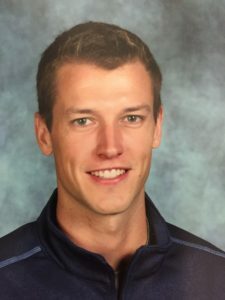 After graduating from the University of North Carolina at Chapel Hill with Bachelor’s of Arts degrees in Exercise and Sports Science with a concentration in Athletic Training and Psychology, he completed his Doctor of Physical Therapy degree at the University of Connecticut. Jake has experience with athletes in the athletic training and physical therapy setting, including a variety of sports at the high school, college and profession level. His clinical experience includes working with Division I athletes at UNC, internships with the New York Jets and Connecticut Tigers, and working with the Washington Capitals. Jake currently works as a physical therapist in the MedStar Rehabilitation Network at the Ballston-Marymount location.